Just a couple of days ago, I showed you how to transform the stock Android to look & feel like Windows Phone, which is aesthetically superior, although I would also argue in its favor a technological superiority, as well, but then you'd accuse me of fanboyism. 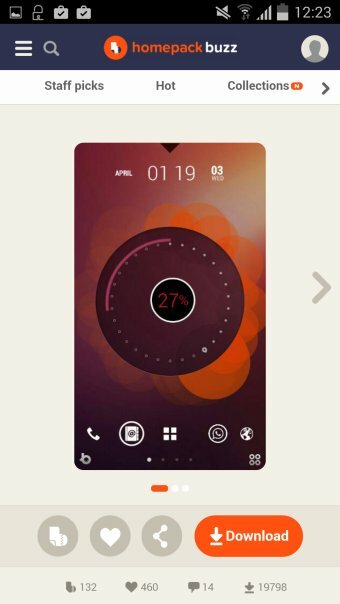 Anyhow, the second transformation we're about to undertake is making Android look somewhat like Ubuntu Phone, a concept that has not yet been fully realized or released into the public. Rather than jeopardizing your phone with a beta, we will settle for a cosmetic change only. To wit, this article. Follow me. The thing is, Ubuntu Edge is still not readily available. But you cannot argue against its pleasing looks. 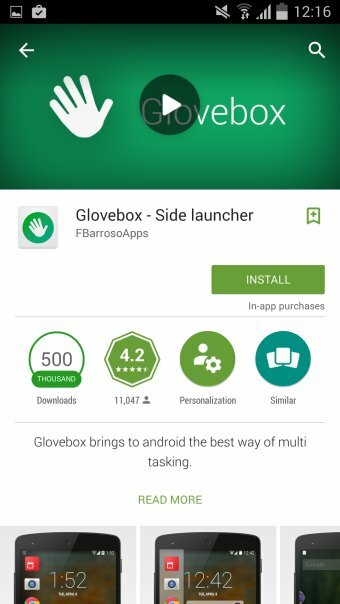 Not for everyone, I must admit, but it does not fall short of what Android offers to its users. If you feel like trying a unique new look, then this could be a good and rather harmless idea. You won't be getting the entire Ubuntu ecosystem, but you will have something that looks a bit like Unity, and if that's your thing, you've come to the right place. 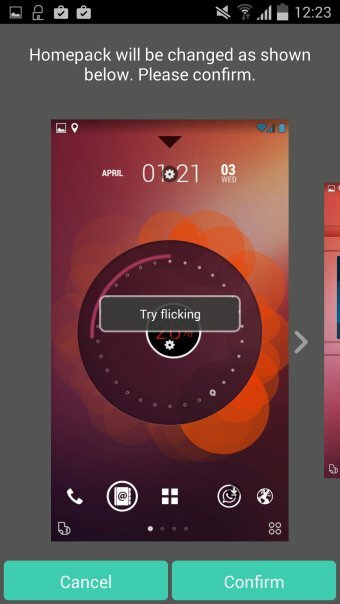 This little app is not specifically related to Ubuntu. But it works as follows. 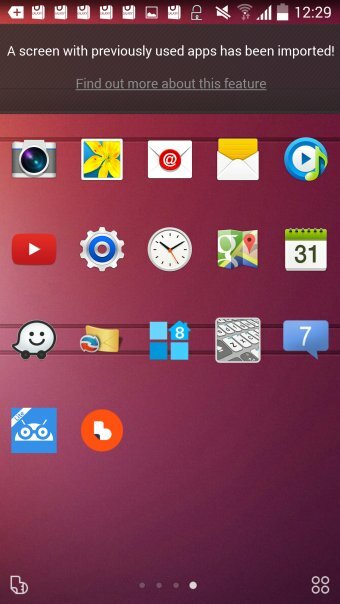 You get a new launcher that does look a lot like Ubuntu. And then, you install one of the homepacks, which is essentially a theme. 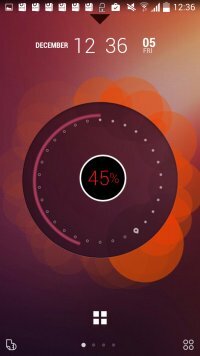 After that, you will need to invest a lot of time tweaking the functionality, look & feel to match the expected product, which, in our cause, is Ubuntu Phone. I must admit this is easier said than done. 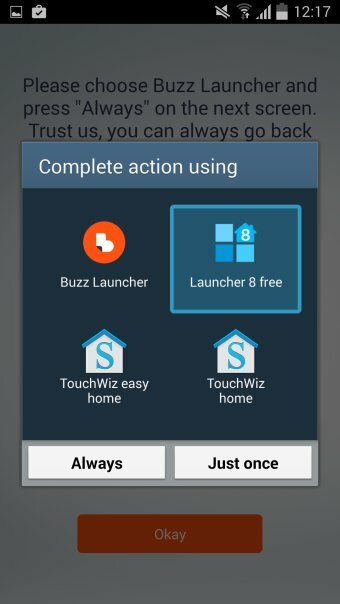 The trivial task is using Buzz Launcher instead of either the default home screen or the Windows Phone launcher we saw in the previous article. After that, you will land in a user interface that is both simple and complicated. 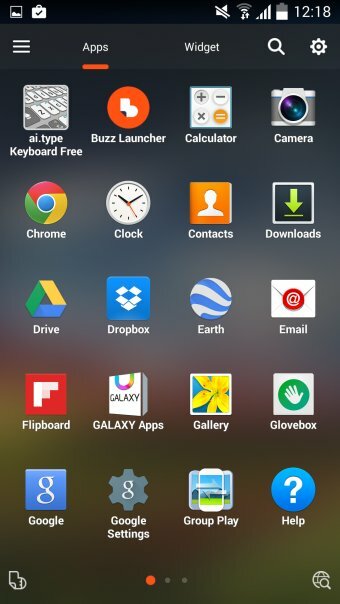 Namely, Buzz Launcher comes with some interesting features, but many of them seem to be an unholy marriage between different styles and designs. 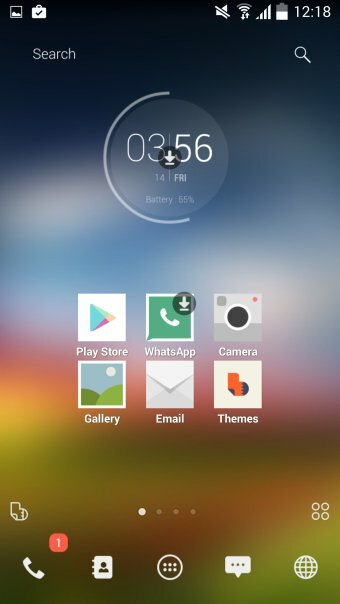 Flat icons, Ubuntu like battery meter, Lollipop like widgets, and that's just the beginning of a rather intimidating task of taming Buzz to your liking. Some of the icons are just placeholders. So you will need to download them before you can start using them. Others simply make no sense, if you've never used them. Then, you will have several pre-designed screen, titled Social, Office and such, and they will be populated with what the Buzz developers feel like the best fit for the first-time users. It's not bad, but it's not Ubuntu. We need a new homepack. You will have to interact with the home screens quite a lot. Widgets will ask you to approve them, and you will always have the homepack and settings icon hovering in the corners, which can be annoying if you expect a nice, tidy grid. You will have to play around to find that OCD sweet spot. 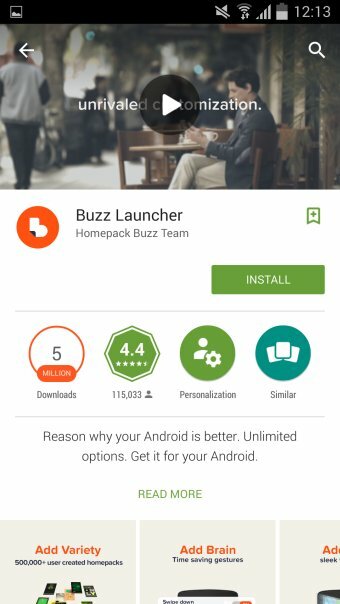 Homepacks are available from within the Buzz Launcher itself. Just click on the little L shaped icon on the left side of the screen. An application store like utility will launch, allowing to choose from a dazzling array of themes, known as homepacks. If you look for just Ubuntu, there will be some 249 entries available, and this can be quite confusing. Finding the best, most elegant theme is a hit & miss effort like any theming in a typical Linux distribution. But you will get there, in the end. Now, you will need to tweak the looks some more. 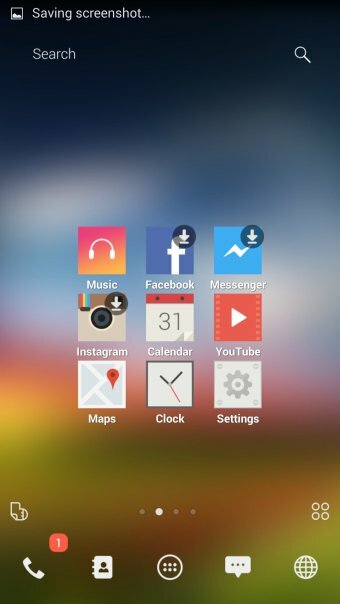 There are a total of five home screens, titled Social, Office and others. 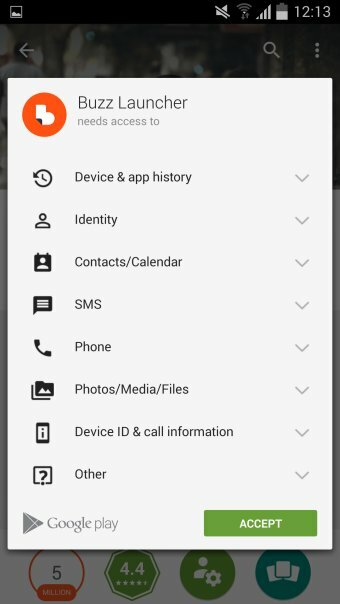 Somewhat cluttered, I must say, and the fact you get icons of several different sizes, and their refusal to be nicely and tidily placed on a grid sure does not help. Nor the fact you need to keep downloading apps and widgets. 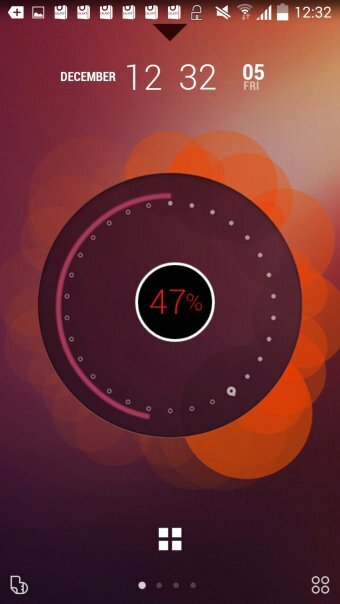 We want an Ubuntu lock screen. It's one of the more recognizable Ubuntu Phone brand gimmicks, and it does stand out with its orange-brown flowery design. 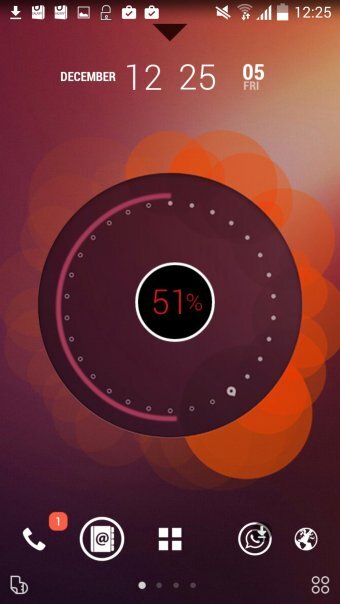 To wit, we will install Ubuntu Lockscreen. 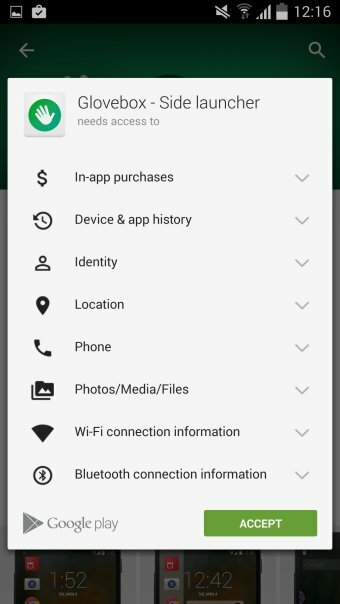 This can be a little confusing, as it will ask permissions to become your sort of launcher. In my case, at first, for some reason, I ended up with both the Windows Phone and Ubuntu lock screens, one behind another, and this could cramp your style. 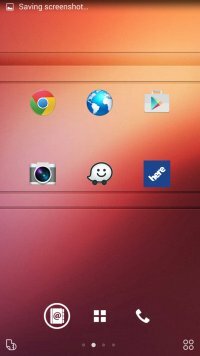 I also tried adding a side launcher called Glovebox, so it would feature on the left side, similar to what Ubuntu Phone is really meant to have one day, and very much like the Unity desktop, where the Launcher is placed on the left side of the screen, featuring a ribbon of icons. The idea is neat, except I had no idea how to use the program, and promptly gave up. But you might be inspired to try. With some effort and imagination, you might get nice results. 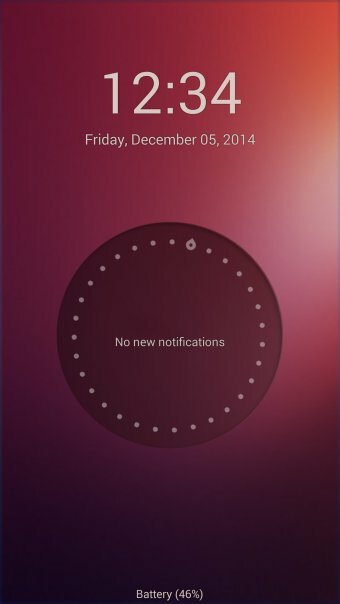 On one hand, the Ubuntu Phone transformation for Android is less intrusive than the Windows Phone one, and there are fewer applications. 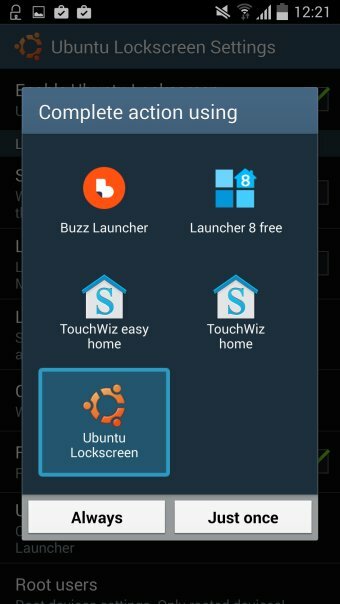 On the other, it is more complex, because Buzz Launcher is a rich program, and you need time figuring out all its secrets. Then, the results are not as effective or complete as the Windows Phone, and there's a performance hit, too. All in all, this kind of theming isn't yet as ready as the Windows Phone, and I'd recommend you wait a while before testing this in depth, no matter how brightly might the flames of your passion burn. It's doable, but you will need to focus, and not all results will be fully satisfactory. With that in mind, you could have some innocent fun, and tease your friends with your would-be new phone. Which makes the official Ubuntu phone release that much more exciting.